A roof is an expensive investment that you want to protect whether it is new or has a few years left on it. 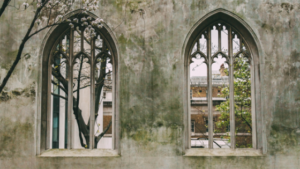 Taking time to maintain this investment will ensure that it lasts as long as possible and does not need to be replaced sooner than necessary. 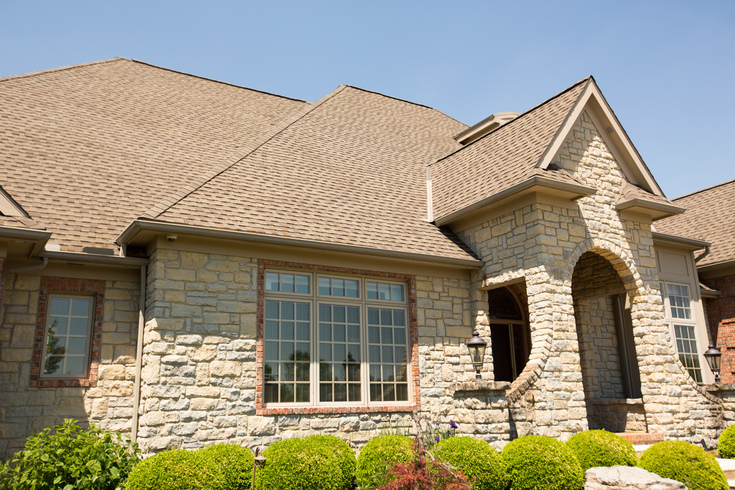 Here are some helpful tips to ensure your roof will last for years to come. Accumulation of leaves on your roof can cause many issues. Unless your roof peaks higher than surround trees, you probably have leaves that accumulate near the chimneys or in the flatter portions of the roof and the valleys. If they are not removed they will eventually trap moisture and begin to decompose. Decomposure allows moisture to accumulate on your roof and create a fertile place for weeds and other vegetation to grow. Dry leaves: With a one story house or a low slope roof you can pull the leaves down with a telescoping pole or a soft car washing brush. There are specialty tools such as a roof leak rake or a leaf blower can also handle it if you get up on the roof to use it. Wet leaves: If leaves wet or too deep you probably will need a garden hose to wash them off the roof. Under no circumstances should a pressure washer be used as it can force water under the shingles and shorten the life of your roof. Storms and high winds will cause limbs and leaves that are close to scrape on your roof and eventually damage your shingles. Squirrels and rodents will have easier access to your roof the closer overhanging branches reach. Small critters can gnaw on your roof and siding causing damage and weak points to damage and infestation. Prevent leaves from getting onto the roof in the first place by trimming the trees around your home. Ten feet is a good distance to prevent scraping and unwanted guests on and in your home. If you are not able to trim your trees back that far, a sheet-metal bank around the tree trunk will prevent animals from climbing the tree. A professional can trim your branches properly to prevent damage to your home and your trees. 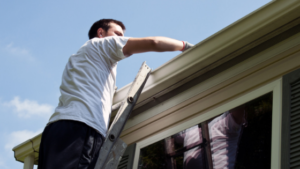 Typical issues with clogged gutters are ruined paint on the siding and a wet basement. Leaves can pile up in gutters and cause water to get into the roof sheathing and roof rafters to cause rot. Fixing issues could cost big money but can be easily avoided. Because you must use ladders to clean gutters and the ground often is uneven, it’s best to contact a professional like IDW to clean out the gutters and downspouts. Otherwise it could be an accident waiting to happen. Ice dams on your roof can lift the shingles up and allow water to leak into your home. The pressure and weight from the ice dams can pull the gutters off or lead to structural damage in your home that will lead to flooding. Use a telescoping pole and work from the ground to remove snow. Do not try to pry formed ice off, as that can cause damage to the roof. Check for inadequate insulation and air leaks inside as they increase the risk of ice dams. After a big wind or hail storm, listen for scurrying on the roof at night. Look to be sure you do not have loose, curling or missing shingles. Also check for damage around vents, skylights, chimneys and other openings. Dark streaking on the roof that looks like dirt but is really a form of black algae that eats the organic material making up your roof. As the roof expands and retracts through cold and heat the colony of mold grows and continues to cause more damage. Have a professional clean your roof with a Soft Wash process. Do not allow anyone to pressure wash your roof as that will cause more damage and not kill the bacteria causing the problem. A proper process will use cleaning solutions to treat the problem of living algae and not the symptom of dark streaks. Follow these tips to keep a strong roof and a healthy home. If you see things that seem to be an issue take care them immediately before they have a chance to cause further damage. Contact us with any questions or to schedule a professional to come and review your roof and any issues you see with dark spots or streaking.